With their heavily orchestrated, sweet ballads, the Australian soft rock group Air Supply became a staple of early-'80s radio, scoring a string of seven straight Top Five singles. Air Supply, for most intents and purposes, was the duo of vocalists Russell Hitchcock and Graham Russell. 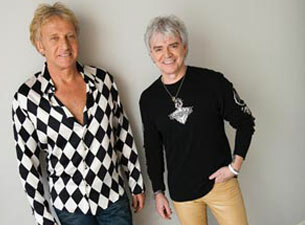 Air Supply signed a record contract with Arista in 1980, releasing their first album by the end of the year. Lost in Love, their debut, was a major success in the U.S., selling over two million copies and spawning the hit singles "Lost in Love," "All Out of Love," and "Every Woman in the World."